You may not have noticed in the rush of your weekday routine, but today is Friday the 13th. 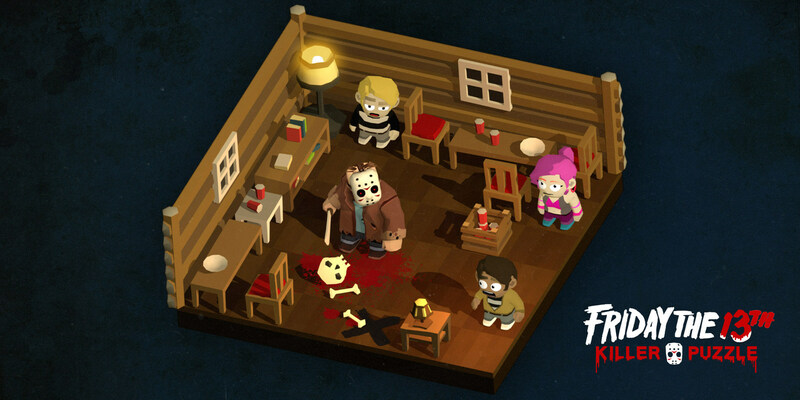 So what better day is there for the creators of the popular serial killer puzzle game Slayaway Camp to release their latest horror-filled puzzler Friday the 13th: Killer Puzzle? Surprisingly the studio somehow gained permission from New Line Cinema Productions to use the Friday the 13th license, which means you can expect to stalk and slay human prey as you take on the role of the infamous Jason Voorhees. 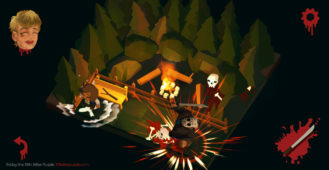 Blue Wizard Digital's Slayaway Camp is obviously the inspiration behind their latest release. Both games use a similar horror-filled theme, but this time around you get to play the part of Jason Voorhees so that you can murder in the gruesomest fashion possible. 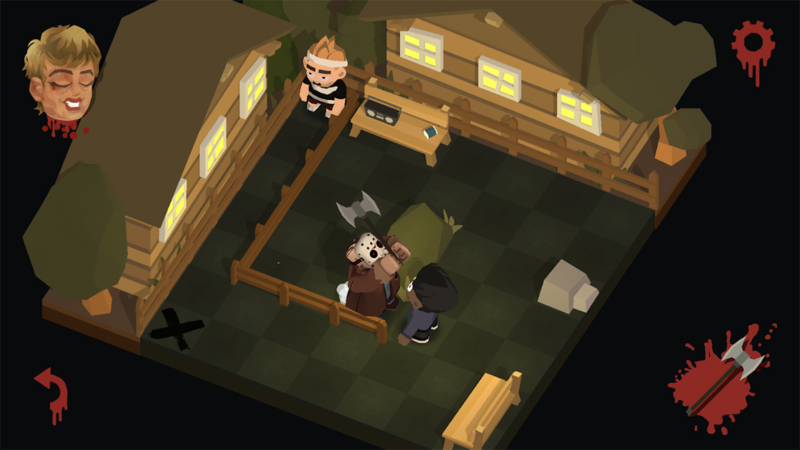 Also, instead of using the blocky voxel-style graphics from the original, we are treated to a more stylish chibi design that rounds off those rough edges and creates something even more appealing to the eyes. 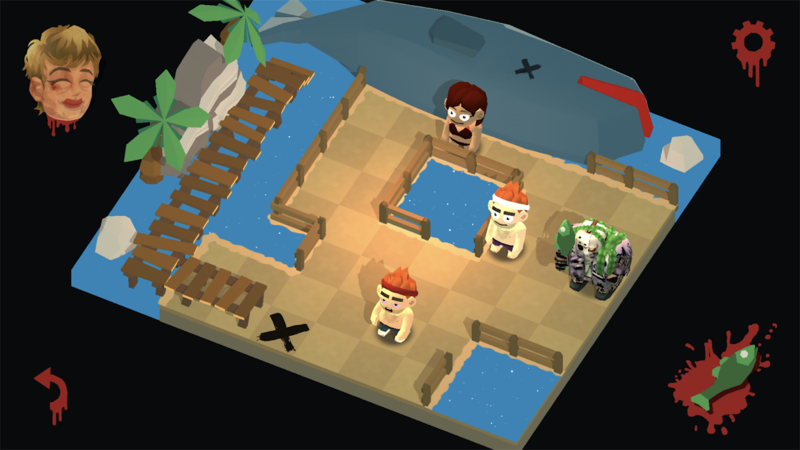 The Sokoban-style gameplay remains exactly the same. You will be swiping on Jason to move him in specific diagonal and horizontal directions, which works perfectly with the touchscreen controls. Your targets will be scattered across the map and placed in strategic locations that are difficult to reach. This means you will have to study their positions so that you can figure out the best directions to move without falling off the map or running into any obstacles. As you work your way through the game, you will visit an assortment of stages. You start out appropriately in Crystal Lake, though you will soon make your way to other areas such as a supermax prison or a Manhattan skyscraper. 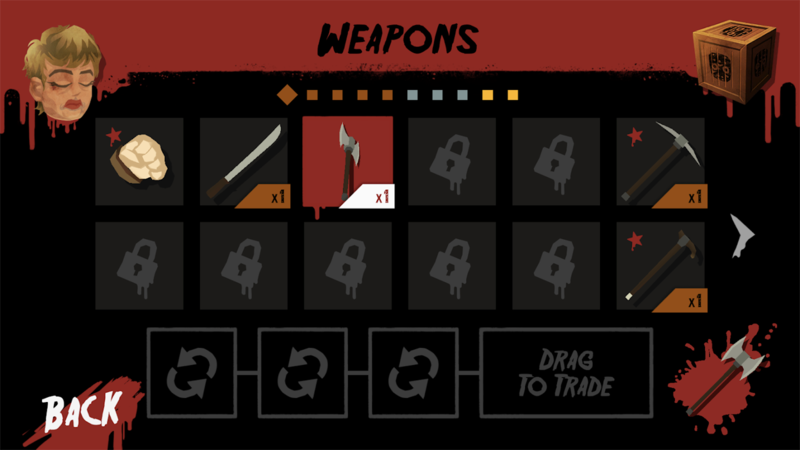 Along this journey, you will be collecting different weapons that range in rarity, and this collection aspect is what will drive replayability once you have beaten each stage. Unlike Slayaway Camp, this is a free-to-play release. So that means you can play without having to put any money down, but it also means there are advertisements and in-app purchases that range up to $4.49 per item. The ads are mainly optional to view, plus you can remove the occasional pop-up ad by purchasing any one of the four available loot boxes. What's nice about this is that there are no in-game currencies, which means you can buy those loot boxes at a clearly listed monetary value. And while I can't say I'm a fan of gambling mechanics, at least their actual cost isn't hidden behind multiple conversions of in-game currency. Oh, and if you are worried that the murderous theme may be too much for your young ones, there is also an optional PG (Parental Guidance Suggested) setting that tones things down to an appropriate level. Of course, this is still a game about murdering people, and even without the gore, it can still be a little unsettling. Another great addition is the inclusion of Google Play Games Services. Both an achievement system and global leaderboards are included, and more importantly, cloud saving is built-in too. This way you can pick up where you last left off no matter what supported Android device you choose to play with. I also couldn't help but notice that Friday the 13th: Killer Puzzle lists support for the Nvidia Shield TV. I was able to install the game on the device successfully, but the controller didn't work. Like most new releases on the Play Store, the Shield TV listing is a mistake. I also checked to see if HID controller support over USB OTG worked on my GS8+ and OP5T, and sadly that was also a no-go. 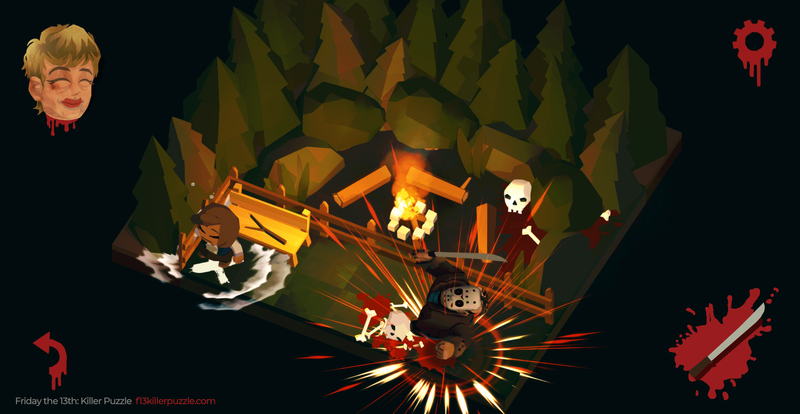 Today is obviously the perfect day to release a Friday the 13th-themed game. Blue Wizard Digital has not only taken advantage of perfect timing, but they have also delivered an enjoyable Sokoban-style horror game that is worthy of the Friday the 13th: Killer Puzzle moniker. The monetization is fair despite the use of loot crates, plus the inclusion of GPG support means we can all save our game in the cloud. Really I am finding very little wrong with this release, and that is a great thing. So I wholeheartedly recommend taking some time out of your Friday to install this game so that you too can enjoy some gore-filled puzzles on this superstitious holiday. 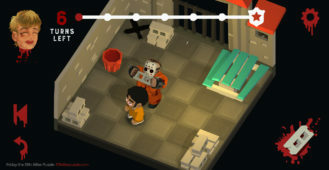 From the makers of Slayaway Camp—the award-winning “Bloodiest Puzzle Game Ever”—comes an even more frightening puzzler starring one of horror’s most iconic killers. Now you can go behind the hockey mask of Jason Voorhees on his mission to murder unfortunate campers at Crystal Lake and beyond.